Fed up of writing the same old radio ads? 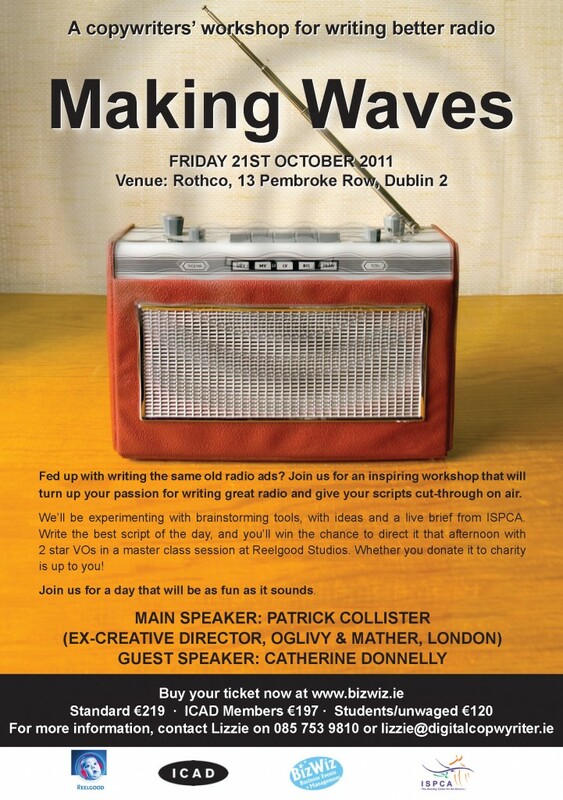 Come along for a copywriters’ workshop with Patrick Collister that’ll get you excited about sound. Best ad written on the day gets made at Reelgood Studios. Price: Standard Tickets €219, ICAD Members €197, Students €120. Includes tea breaks and lunch.